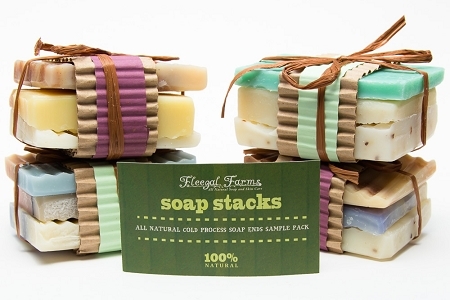 These adorable soap bundles are a great way to try out 4 or 5 scents at once. They are the perfect size for people who travel or as guest bars. These hand tied stacks also makes a fantastic hostess gift or stocking stuffer. Each pack is selected at random.